Public installations create an opportunity for playful commentary on urban life- a kinaesthetic experience of the city in distorted scales creating new experiences of the sacred and the mundane. 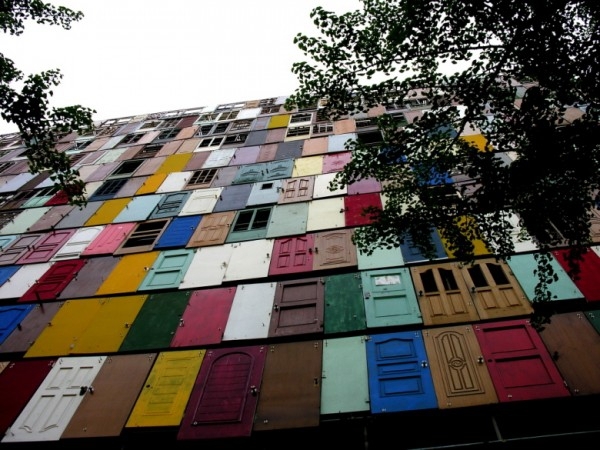 South Korean artist Choi Jeong-Hwa, in 2009, employed an urban facade to create such an experience for the residents of Seoul, South Korea using the most humble of building elements- doors. An interface between the known and the unknown, between the private and the public, the humble door can be seen as a barrier between worlds or as a gateway to new horizons. In the urban context it demarcates individual from collective identity. Each door presents a multitude of questions and the promise of a hundred secrets- what lies behind this door? 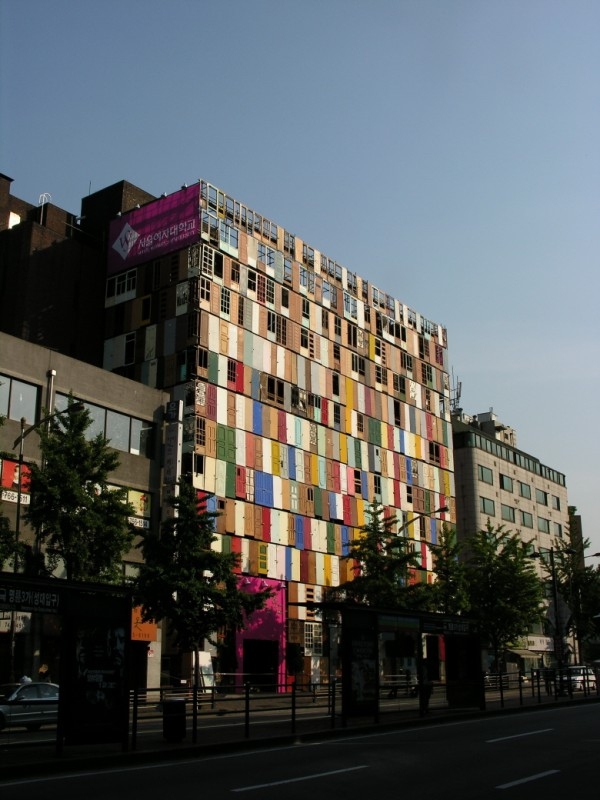 Jeong-Hwa plays on this sentiment and creates a remarkable installation. 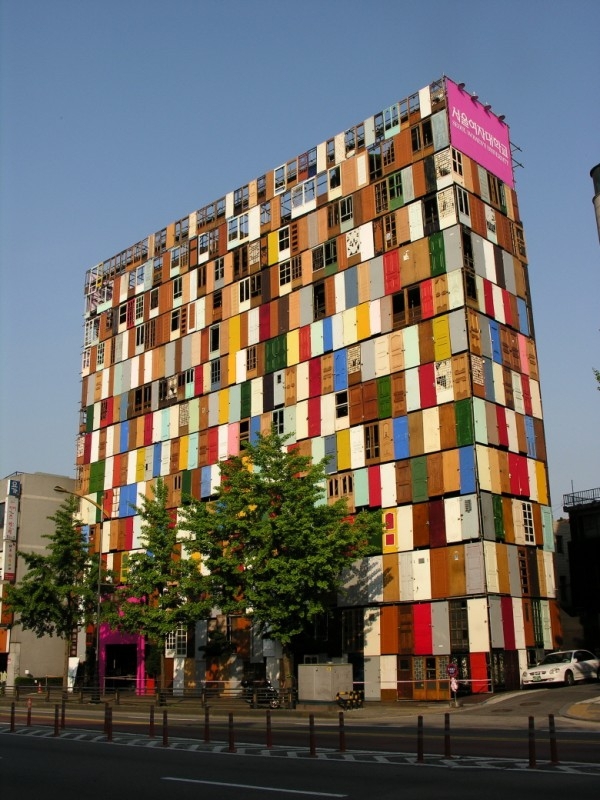 He clads an urban face with 1,000 re-used doors- in various colors, shapes and profiles- across ten floors. Resembling a building under construction, the installation thins out towards the top, invoking a sense of it being incomplete- as if the doors continue to add on just like a building under construction does. 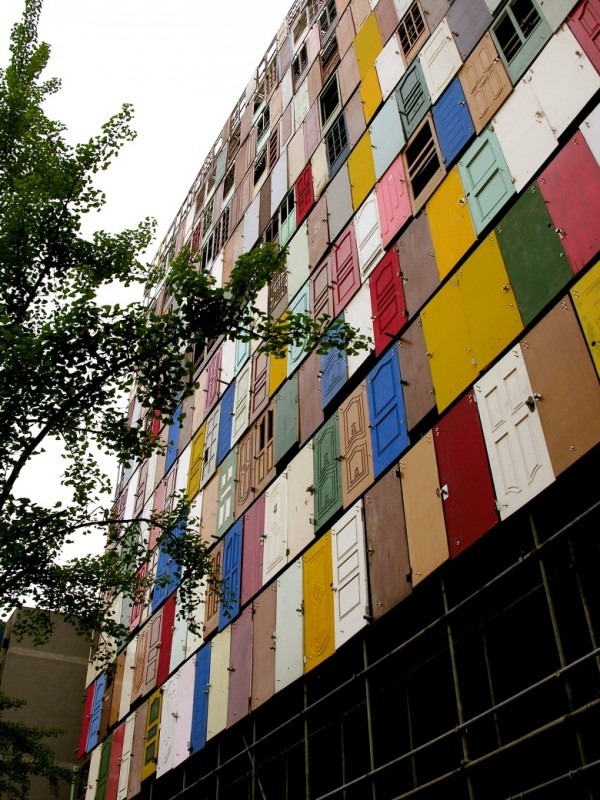 Each door in its utter contrasts is a character unto itself and in many ways evocative of the urban fabric- rich, diverse and colorful, coming together to create conflict and composition. This installation is deceptively simple yet unquestionably profound. Open to personal interpretation and response, this is art that reinvents itself with each individual always finding something more to say- one door at a time.